This morning I heard in the NEWS a comment made by Keven Mealamu, the captain of the Blues, that he lost his confidence because of the poor start of the Rugby season with the Blues ending up in the bottom of the score board. I love g oing to the farmers market on a sunny Sunday morning. Actually, I love going to the market any day of the week, it’s just that normal week days are often too busy for a leisurely walk through stands filled with inviting fruit and vegetables, nick knacks, pots and pans, old rusty tools, tempting pastries and cakes, clothes and pottery to name just a few. On some days I am going home with bags full of goodies, on other days I just stroll and buy nothing. My friend Tanya Kennard has created a unique weekend retreat in Arkles Bay. Explore the logic behind human experiences, resiliency, and the human potential for love, wisdom, and peace of mind in the restful environment of one of North Shore’s stunning Bays. I would like to share an observation I made when was at a social meeting the other day. Almost everyone talked about stress. Most people didn’t have any problems identifying their source of stress: There was no shortage of problematic teenagers who either were on drugs, truant, or absolutely diabolical to their parents, husbands were overworked and came home from work late, work, housework, mortgages, young children, old children, fall-out with in-laws, the earthquake situation in Christchurch … the list was endless – and I didn’t even mention stress people experience because of past traumatic experiences that intrude into their daily lives. The conventional treatment recommendation for stress is: Bang your head here! Maybe not literally, but as an analogy, stressed people are advised to take this, do that, breathe, visualise, change their environment, change job, take time out, go on holiday, ….. the list is as endless as there are people. If nothing helps you can go on antidepressants or worse on anti-anxiety medication. I read in the New Zealand Herald last year that job-stress in Australia costs $950 million per year. You can see that there is a universal agreement that stress is caused by environmental circumstances, or better, by circumstances that are outside of a person’s control. Well, I am going to put the fox amongst the chickens by proposing, that this is completely wrong. On top of that, thinking that the cause is outside of people’s control is also the reason that stress is not getting any less but increases all the time. Simply because life will throw difficult situations at all of us. From pimples in the late teens to arthritis in the early sixties, difficult situations will occur. Wouldn’t it be better to deal with the cause of stress rather than with each individual incident? I am pleading against my own economical interest here because the current stress theory provides people like me (therapists, counsellors, coaches, and all sorts of alternative ‘health’ professionals) with a steady flow of clients. I would like to introduce the notion that stress is caused by each individual through their thinking process, thus from the inside-out and NOT through circumstances and things thus not from the outside-in. The bad news about that is that people are causing their own stress – the good news is, once people understand how they produced stress in their mind, it is within their control to change that in an instant! Wouldn’t that be desirable? In times of crisis and heightened stress the first rule of conduct is: BACK TO BASICS. In order to be able to keep up with the extra pressure on your emotional and physical functioning, its vital that you look after your basic needs first. You can only be of help to others when you are taken care of. A car without petrol is no use to anybody … it won’t run. Make sure you get some decent amount of food – actually, foods high on carbohydrates (sugars) have a stress reducing effect – and don’t forget to stay hydrated. Without enough fluids we humans tend to not function that well. It is also important to get enough sleep, and if you can’t sleep, get some rest somehow. Stay active by either helping with the clean-up, running, cleaning up your yard or house, giving a hand to people in need. It helps to stay away from alcohol, recreational drugs, and cigarettes. These substances compromise your thinking speed and quality, and they are an extra stress on your body. 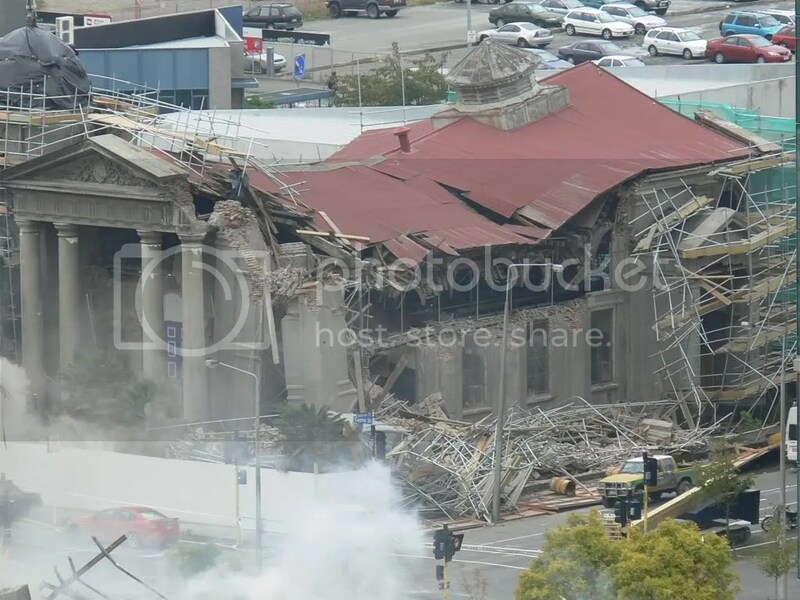 A terrifying disaster like the Christchurch Earthquake has a huge impact on people. We are confronted with the fragility of life, with the unpredictability of our physical safety on this planet, and with our inability to protect ourselves and loved ones from such tragedies. Trauma people may have experienced earlier in their lives often gets triggered and they find themselves thrown back again into the depth of traumatisation. When you have been touched by a traumatic event and you feel emotionally numb, irritable, angry, or tearful, don’t be self-critical because these feelings are some of the normal feelings people have as a response to an un-normal event. You might experience sleeplessness, hypervigilance, nightmares, or avoid thinking about what happend: all these reactions are normal. These symptoms may go on for several months and in some cases they could turn into a Post Traumatic Stress Disorder (PTSD). Whilst we cannot ‘not’ be affected by trauma one way or the other, most people are free of any symptoms after a few months. However, there are a few things people can do to help coping whilst they experience trauma symptoms and to avoid longlasting problems. I have listed several of them in the next few posts.